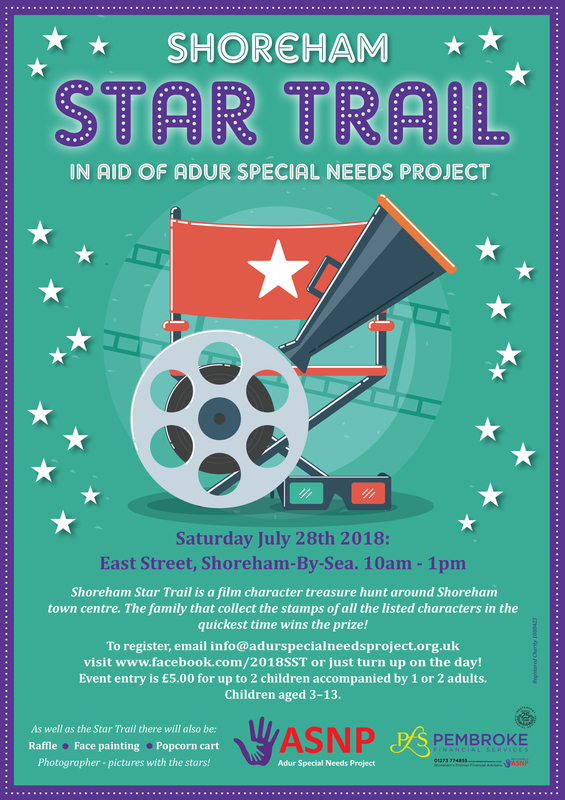 On Saturday 28th July 2018 Adur Special Needs Project (ASNP) will be running Shoreham’s first fundraising Character Hunt. In conjunction with the Artisans’ Market, East Street, Shoreham. This is a family event and will run from 10.00am to 1.00pm. We have 10 amazing volunteers dressed as characters from films, books and television, including Jack Sparrow, Stormtroopers, Batman, Harry Potter, Spiderman, Where’s Wally, Snow White, Gru (from Despicable Me), Edna Mode (from The Incredibles), Elsa (from Frozen), Goofy, and Catwoman. All the entrants need to do is find them and get their stamp. The quickest entrant to find all the characters will receive one of our amazing prizes. Our aim is to raise no less than £3,000 from the Star Trail and we hope that the local community will wholeheartedly support this us by getting involved. Businesses and local organisations will also have an opportunity to support the event by being a headline or character sponsors. This will be a great way for families to spend some fun time together. There will be a £5.00 minimum entrance fee to include up to two children aged between 3 – 13, when accompanied by at least one adult. info@adurspecialneedsproject.org.uk. Families can also turn up and participate on the day, but we are expecting the event to be very busy and booking early will guarantee event registration. For local businesses, our sponsorship packages start with a minimum donation of £100, which will go towards meeting our fundraising target. As a sponsor, we will place your name and logo on the event’s publicity material, raise your profile through local press coverage, attribute our thanks on our website, and through our Facebook event marketing. If you are unable to attend the event or support us through sponsorship but would still like to get involved please contact Yvonne McKeown, Charity Administrator on 07788 239634. We are looking for raffle prizes for this and future events, as well as donations. SHOREHAM STAR TRAIL! A fun family ‘treasure hunt’ event around Shoreham town centre on the morning of Saturday 28th July 2018. Will your family be the fastest? 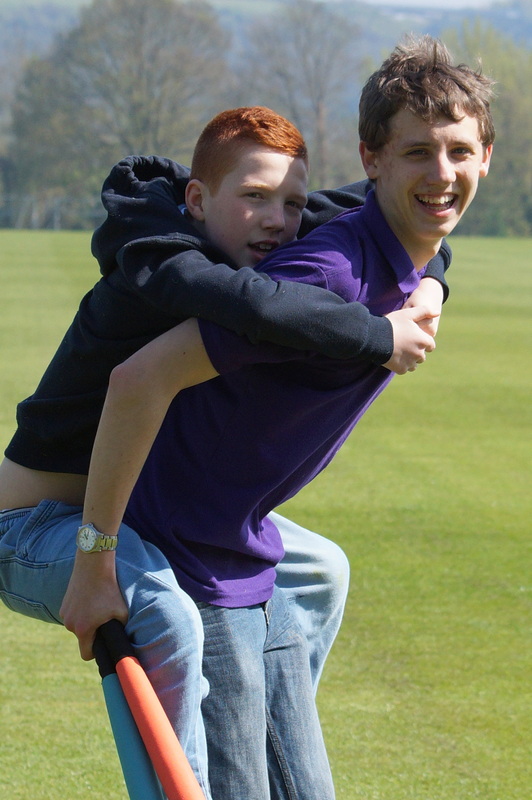 Adur Special Needs Project runs a weekend play scheme for children and young adults. Running from Herons Dale Primary School, Shoreham-by-Sea, ASNP are given use of many of the school’s facilities which enables staff and volunteers to offer a wide range of services and activities for children and young people to take part in. A changing area complete with hoist is available, and can be operated by trained staff. 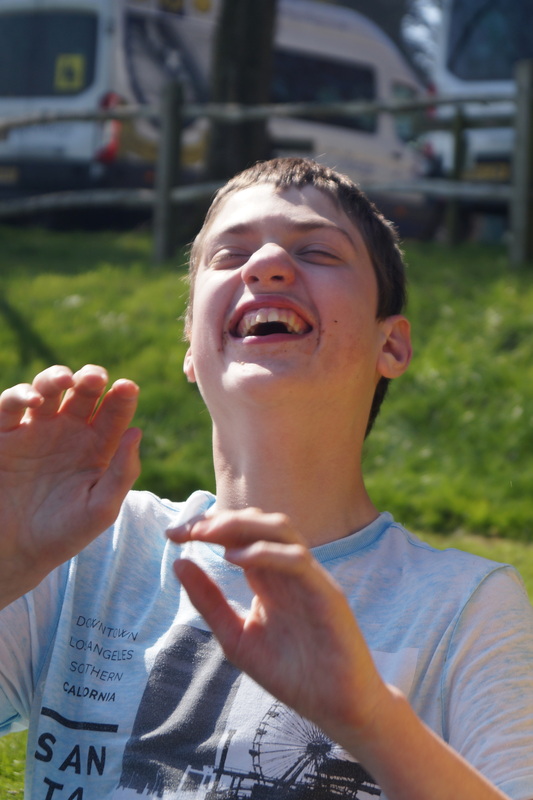 Activities include, cooking, craft, gardening, messy play, outdoor play, sensory time, music, computer games, outings and much more, all facilitated by dedicated and qualified staff and volunteers.